Feel like your share-time needs a little extra spice? How about 30 slides of spice? Each slide of this resource is a different idea for getting students talking about and sharing their writing. 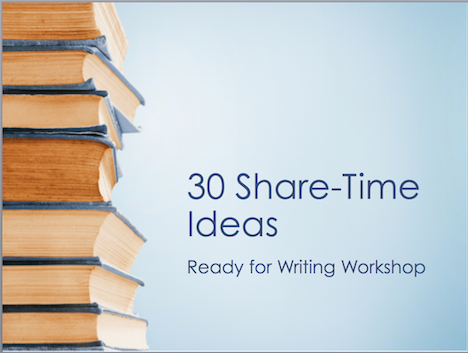 Students will reflect on their writing, show off their skills, shout out their partners, and create goals for their writing habits, all in a ready-to-go powerpoint. Just select, pop on the projector, and go.